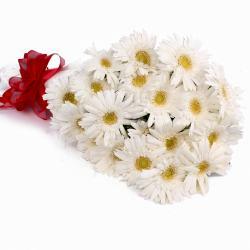 Product Consist : 20 Stem White Color Gerberas with green fillers in Cellophane Wrapping with Ribbon Bow on it. 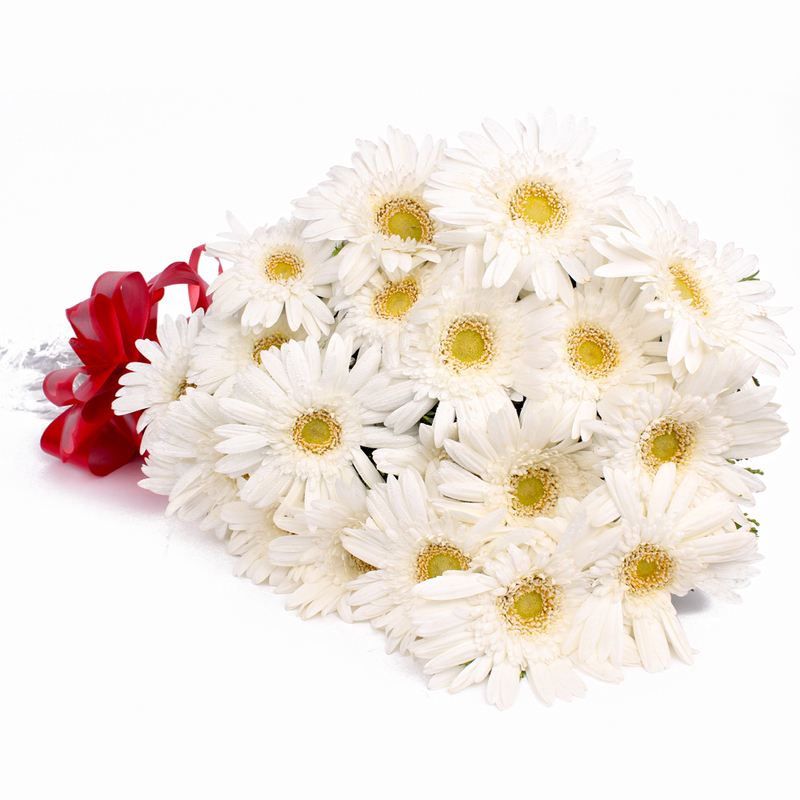 As positive and vibrant as the early morning sunshine, these White Gerberas are bound to spread a smile across your beloved face when you surprise him / her with them. 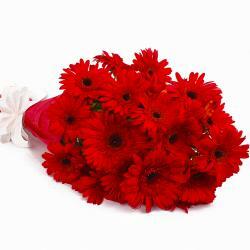 The bouquet contains twenty stem which have been wrapped in cellophane packing. 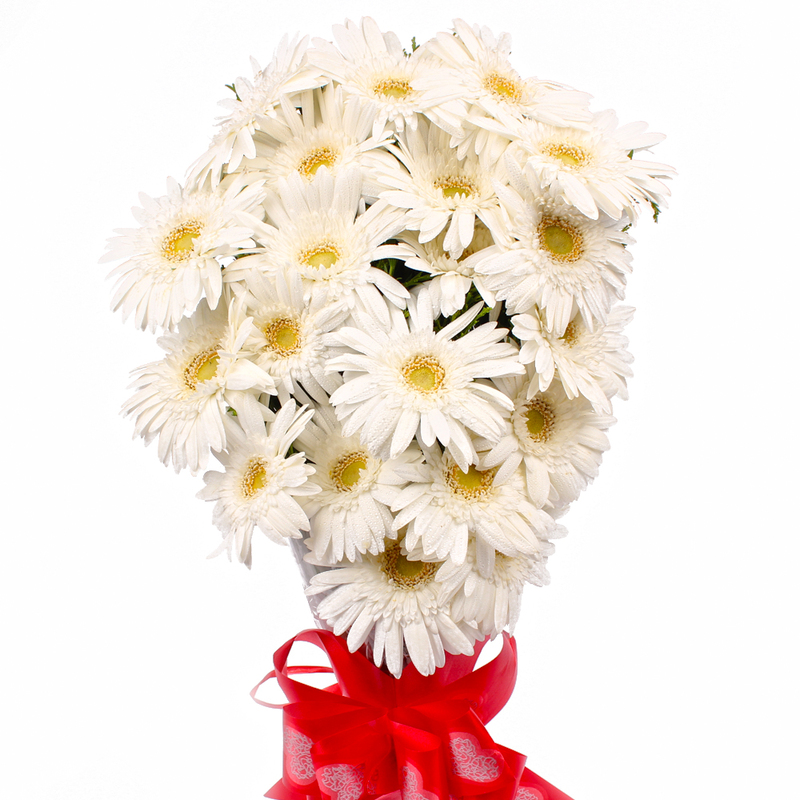 A bow has been tied around the base in a matching ribbon that completes its look. 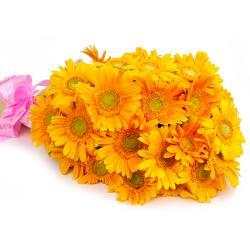 You can also give it as a gift on Anniversary, Diwali, Friendship Day, Corporate Gifting, Birthdays and other joyous occasions. 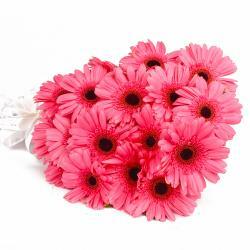 Product contains : 20 Stem White Color Gerberas with green fillers in Cellophane Wrapping with Ribbon Bow on it.